Astraseal commercial manufactures and installs PVCu and aluminium products in accordance with the latest health and safety procedures, always to an extremely high standard of quality. 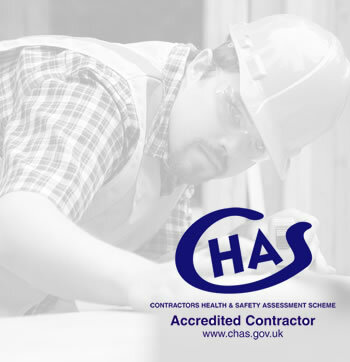 As a CHAS accredited supplier we have consistently met the health and safety standards to comply with CHAS buyers’ requirements. All of our products are fully kitemarked, accredited, and manufactured and installed under strict procedures by our professional teams of production staff and fitters. On top of responsible manufacturing, we arrange health and safety training for all of our drivers, including a cycle awareness course where the participant is given the opportunity to get on a bike to gain a vulnerable road user’s perspective when in urban traffic. We’re also committed to reducing the impact our deliveries have on the environment through reducing emissions. An official police initiative intended to ‘design out crime’, every product we supply to commercial projects achieve “Secured By Design” status as standard. This is done all in the effort to reduce the likelihood of break-ins, letting your client enjoy the ultimate peace of mind. Commercial builds that make use of products and materials compliant with SBD have statistically been proven to reduce break-ins by up to 75%.